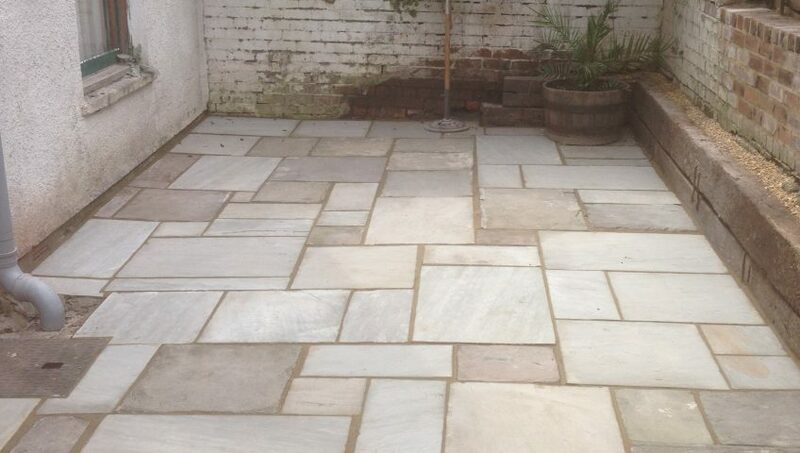 Access at this property was appalling so after carefully taking 15 tonnes of top soil through the house a new patio was installed using a combination of old and new paving to keep costs down. 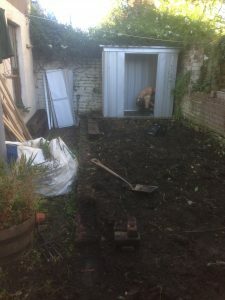 The unsightly wall was repaired and underpinned. 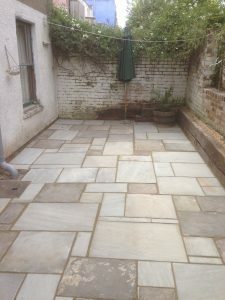 The concrete was then concealed using the old sleepers and old railway pins were used to be in keeping with the rustic finish.